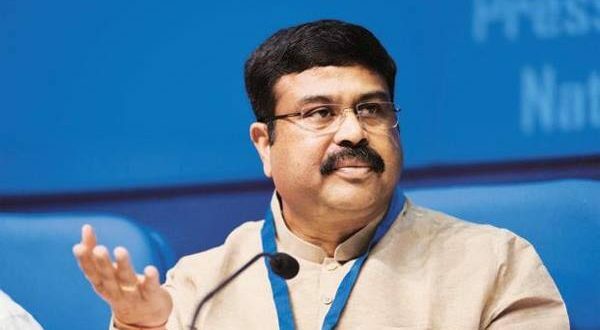 Bhubaneswar: Union Petroleum Minister Dharmendra Pradhan on Friday sought the cooperation of Odisha government for execution of Rs 6,500 crore Strategic Petroleum Reserve (SPR) project at Chandikhol in Jajpur district. The Union Cabinet in June this year approved establishment 4 MMT SPR facility at Chandikhol. “I request cooperation and support of the Government of Odisha in executing the SPR project in the state,” Pradhan wrote to Chief Minister Naveen Patnaik. Pradhan requested the state government for single window clearance by Industrial Development Corporation of Odisha (IDCO) and consent for sourcing water and power for the much-awaited SPR project. The Union Minister also requested support and facilitation of the state government in the land acquisition process and for required permissions of environment and pollution board clearances.